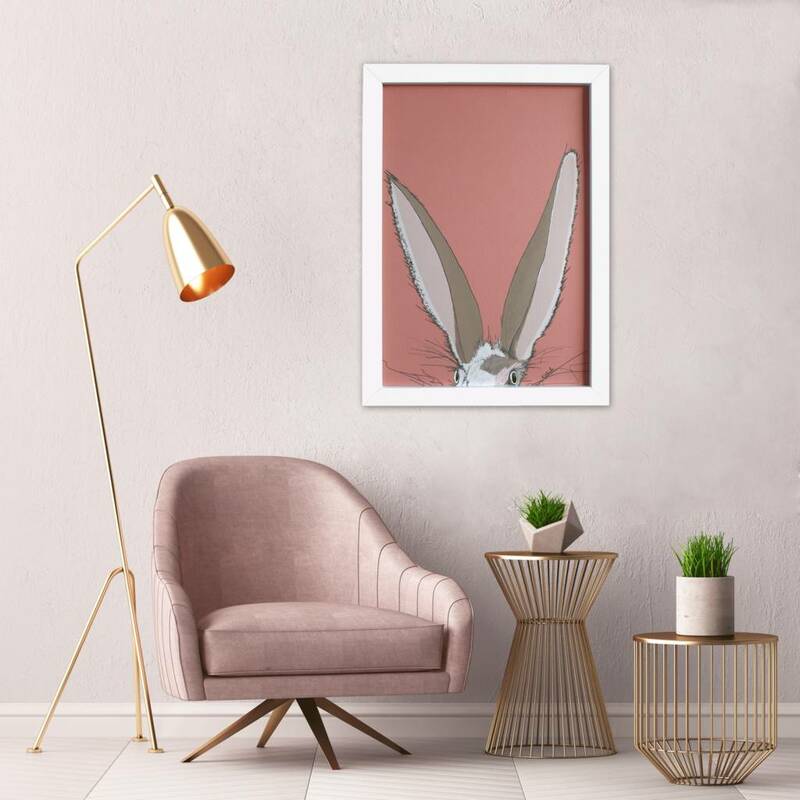 Our eye catching Framed Hare Print "The Observer" is a unique and contemporary piece of wildlife art, designed to make your walls pop! "The Observer" Framed Hare Print is a playful illustration of a wild hare with big long ears peeping over the edge of the print . . . Keeping watch! 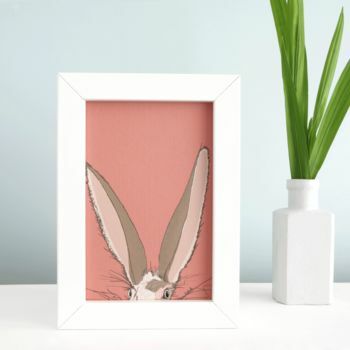 Illustrated by Kate Daniels using warm hues of pink, cream and caramel, with an intense deep coral background to really bring a beautiful depth of colour to this contemporary wildlife print. This colourful piece is sure to brighten any space and make a focal point of any wall, making it an ideal and unique gift for some one special. 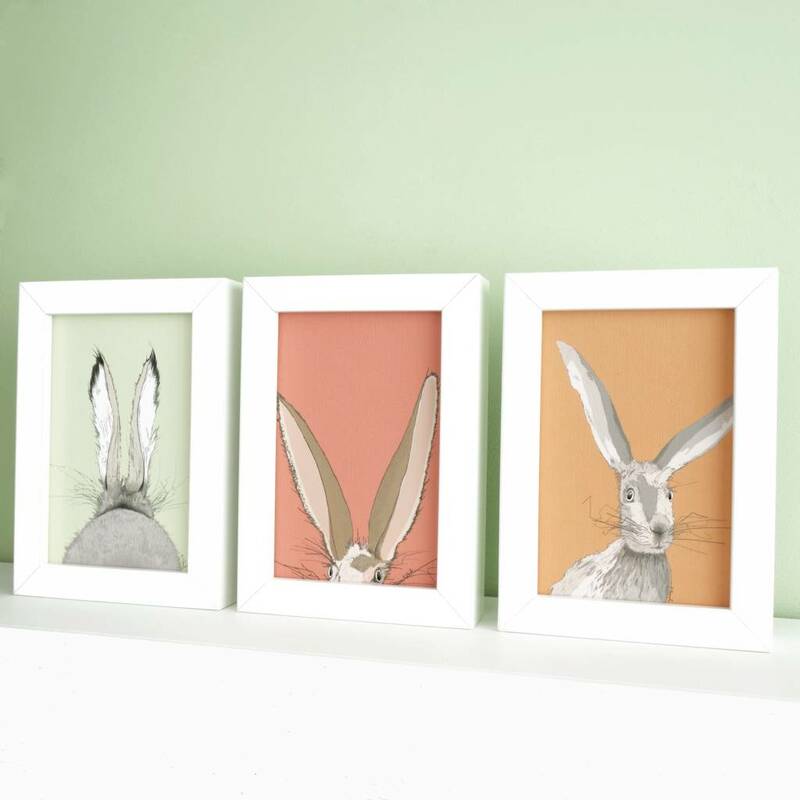 There are three print sizes to choose from, please select from the drop down menu above. 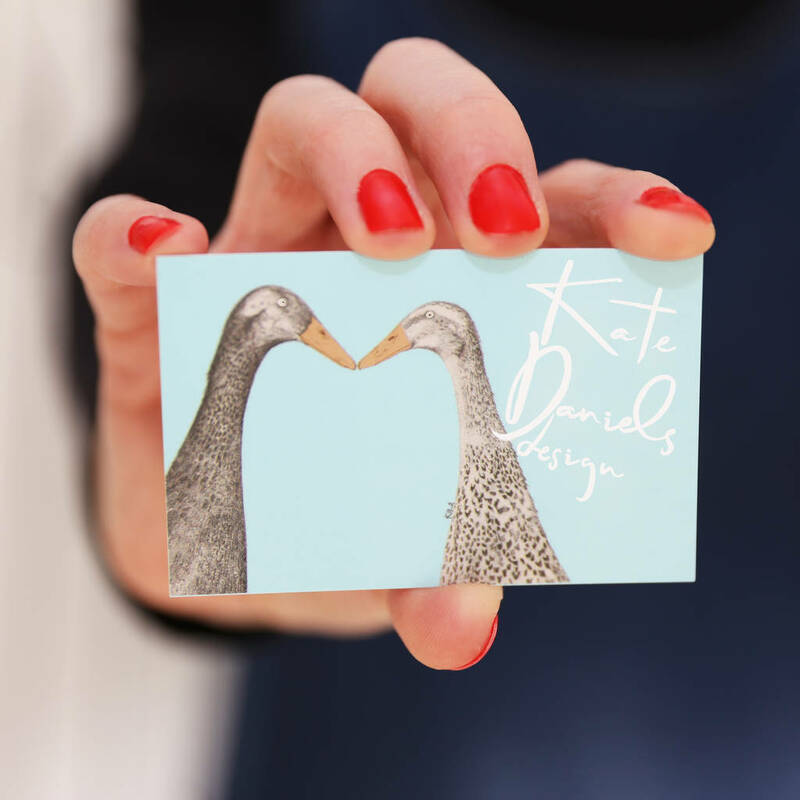 We use archival inks that are printed onto archival, textured, matt card. 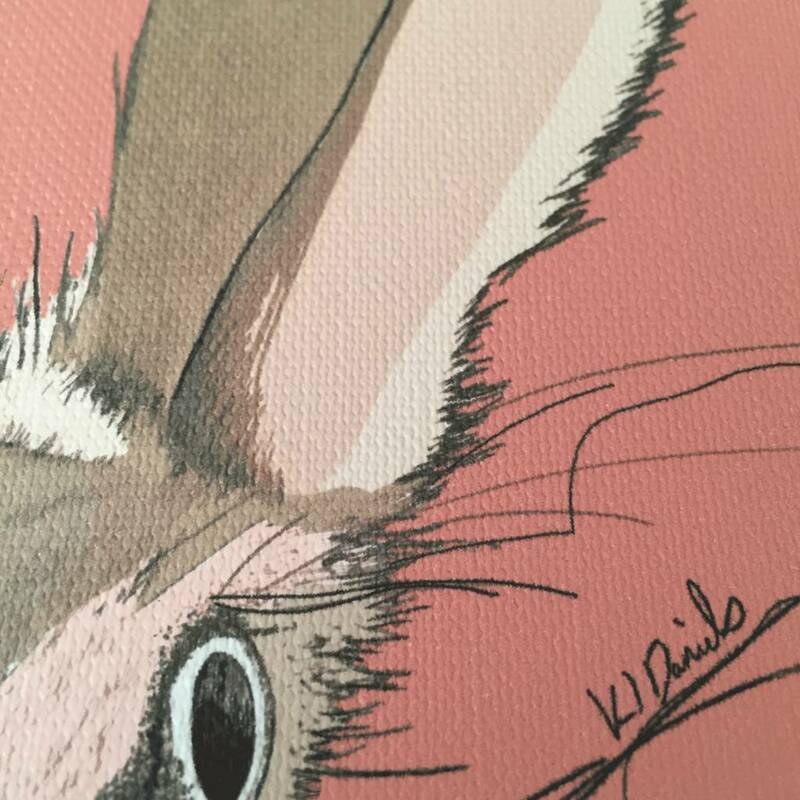 Designed to show beautiful, long lasting depth of colour to your print.